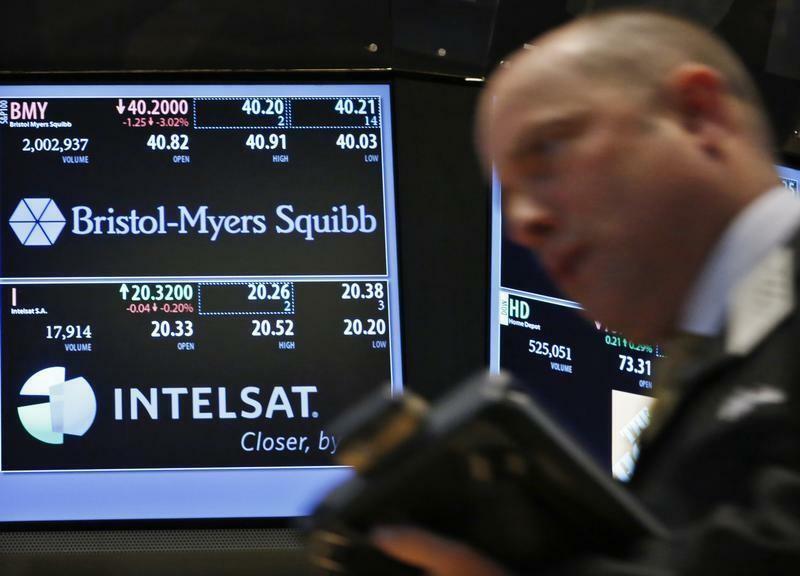 (Reuters) - Bristol-Myers Squibb Co on Thursday reported far better than expected quarterly results thanks largely to delayed reimbursement for two hepatitis C treatments in France and demand for other leading company medicines. Shares of the U.S. drugmaker, which raised its full-year profit forecast because of the strong second-quarter results, rose almost 3 percent in pre-market trading. The company said it lost $130 million, or 8 cents per share, in the period. That compared with a profit of $333 million, or 20 cents per share, in the year-earlier period. Excluding special items, including an $800 million research charge related to the company's recent purchase of Flexus Biosciences, Bristol-Myers earned 53 cents per share. That was well above the average analyst forecast of 36 cents per share, according to Thomson Reuters I/B/E/S. Bristol-Myers noted in its earnings report that its approved Yervoy treatment for melanoma failed to prove effective in two studies of patients with advanced prostate cancer and newly diagnosed advanced small cell lung cancer, and that those studies were canceled. The company said no new safety concerns for the drug were seen in the studies. Yervoy sales slipped 8 percent to $296 million in the quarter, hurt by sales of newer melanoma treatments that also work by harnessing the immune system, including Bristol-Myers’ own Opdivo. Company revenue rose 7 percent to $4.16 billion, about $400 million more than Wall Street expected. Revenue would have risen 16 percent if not for the stronger dollar, which lowers the value of sales outside the United States. New hepatitis C treatments Daklinza and Sunvepra had combined sales of $479 million in the quarter, about $220 million above forecasts. A pricing agreement with the French government allowed Bristol-Myers to receive $170 million for previously unreimbursed sales of the medicines. Results were also helped by demand for Opdivo, a new treatment for melanoma and lung cancer that works by removing a mechanism cancer cells use to evade detection by the immune system. It had sales of $122 million in the quarter. Bristol-Myers said it now expects full-year earnings of $1.70 to $1.80 per share, compared with its earlier view of $1.60 to $1.70.